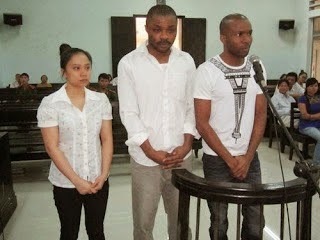 A Vietnamese court has sentenced two Nigerian men, Christian Nnadike, 34, and Collins Deke, 37, (pictured above) to 12 years each in a Vietnam prison for hacking into emails of local companies, contact the company’s foreign partners and swindle them of their money.The men along with a Vietnamese female accomplice, Le Thi Kim Quyen, 35, who was sentenced to 15 years in prison and another Nigerian, de facto husband of the Vietnamese lady, Mark Mamado Abdallah, 39, who is currently at large, ran a scamming syndicate in Vietnam. At the court hearing which took play in April, the men and their accomplice were also found guilty of another fraud scheme in which they pretended to be a British friend of two Vietnamese women on Facebook and asked them to send money as shipping fees to receive gifts. According to prosecutors, the group defrauded many unsuspecting victims of over VND3.3 billion (US$150,000) between April and August 2013. Most of this came from the email hacking scheme. 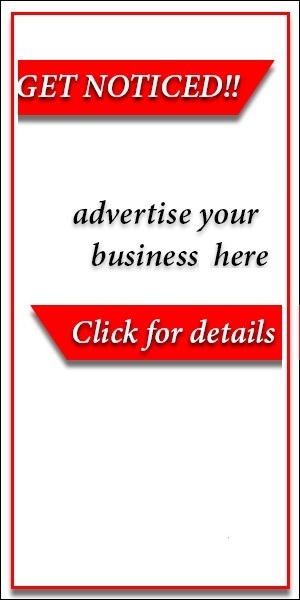 Prosecutors said over the four months, the vietnamese woman, Quyen and her Nigerian husband, Abdallah hacked into the emails of several Vietnamese companies doing business with foreign companies. They gave the information to Nnadikwe and then Deke, who would later transfer it to another Nigerian man living in Malaysia.